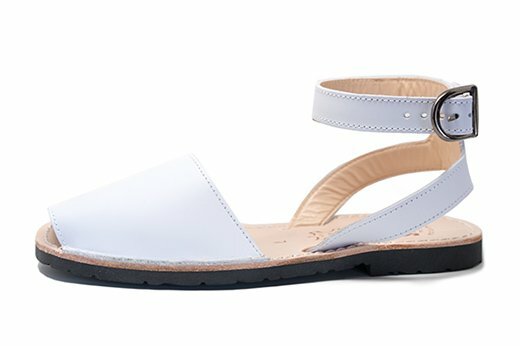 The women's Classic Strap in White are a bright, casual & comfy sandal that will be sure to keep you in style far beyond Labor Day. 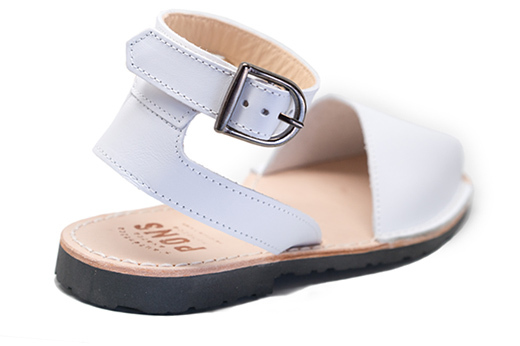 Featuring a comfortable ankle strap, these sandals will stay secure on your feet allowing you to jaunt from the beach to brunch and anywhere you feel like exploring. Inspired by the traditional Menorquinas sandals, our Pons shoes are handmade in Spain with the finest quality leather and a flexible leather and rubber sole.